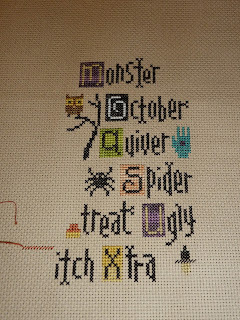 No, not the "ABC sampler, you belong in my grandmothers bathroom kind"
Since becoming a quilter my cross-stitching has taken a back seat..
until I saw this on Kristi's blog. It's so much fun and so cute! Closeup of what the finished will look like.. When I was a kid I loved doing cross stitch. My mom kept telling me boys should not do things like that and I quit. Teach me to do what my mom says. Those look great. Cute! I used to cross stitch too. Funny how so many of us have! 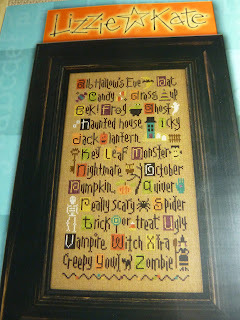 What a fun counted cross stitch project. 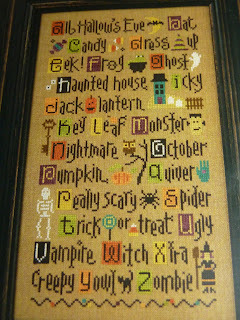 I used to do counted cross stitch, it is great fun. I would love to see the finished piece. I have two crosstitch and a needlepoint in the works! One is a stocking...yes they take that long sometimes! I love it that Halloween one!!!! 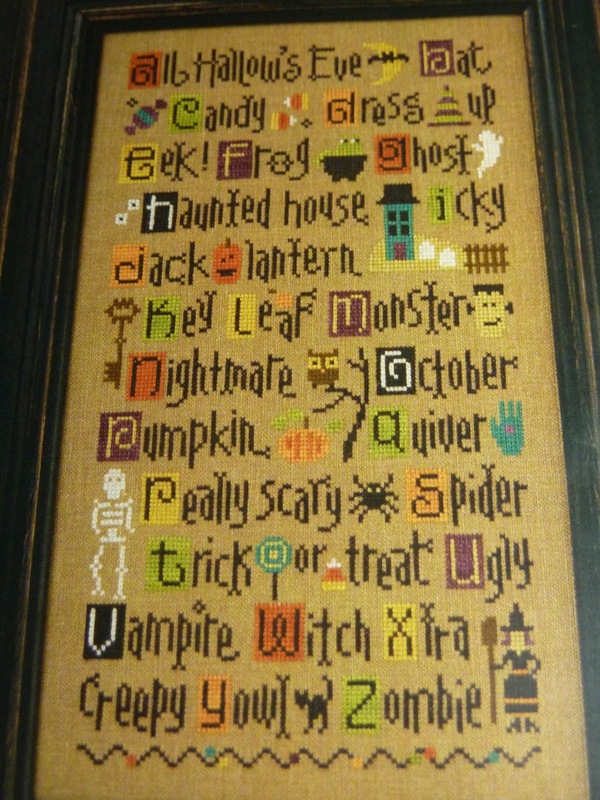 I almost ordered that cross stitch pattern myself! And yes, I was once a x-stitch queen myself, but it got set aside when the kids came and I couldn't concentrate long enough to do it. I've thought about getting my stuff back out a few times, maybe I'll order that Halloween pattern after all... Your's looks great! 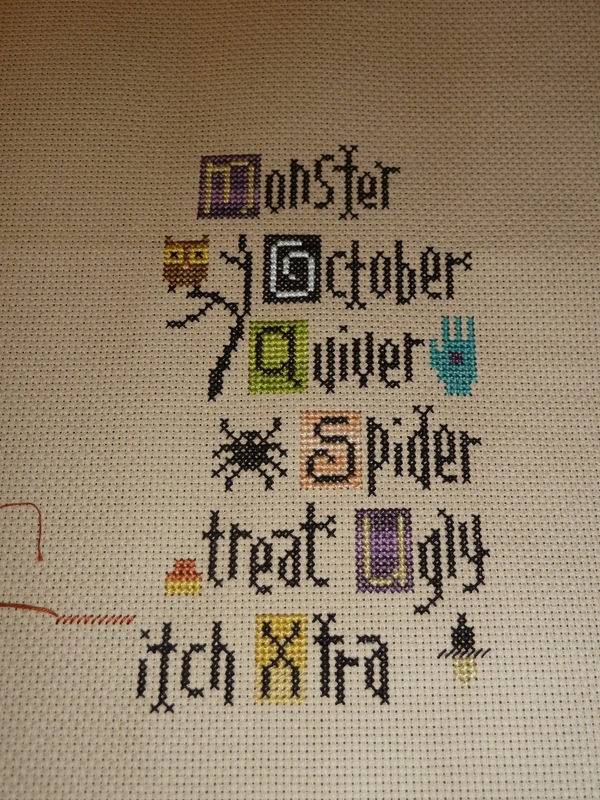 Hadley was right, that is a gorgeous cross stitch.